Already own a home in the Spring Lake subdivision? Thinking of selling? Click here and read about current search trends & our web network. 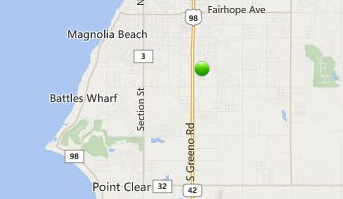 Spring Lake subdivision is located just South of downtown in Fairhope, AL. The homes in Spring Lake are approximately 2 miles East of Mobile Bay and a short drive to various local restaurants, shopping outlets and entertainment venues in the downtown Fairhope area. Also nearby, is the middle school and the high school in Fairhope with Mobile, AL having the closest regional airport at approximately 45 minutes due West. If you need further info, have questions or would like to schedule a viewing for any of the homes for sale in Ayshire Estates or any other properties in the area, please email info@condoinvestment.com or call (251) Area-Pro (251-273-2776) for immediate assistance. Listing information last updated on April 24th, 2019 at 9:46pm CDT.